Li Rihua, landscape — Sydney L. Moss Ltd. Signed by the artist: 竹懶 Zhu Lan; with seal: 李君實印 Li Jun Shi yin. Collector's seal of Yao Yuqin (1867 - 1961) at 89 years old, dated yiwei year (1955). 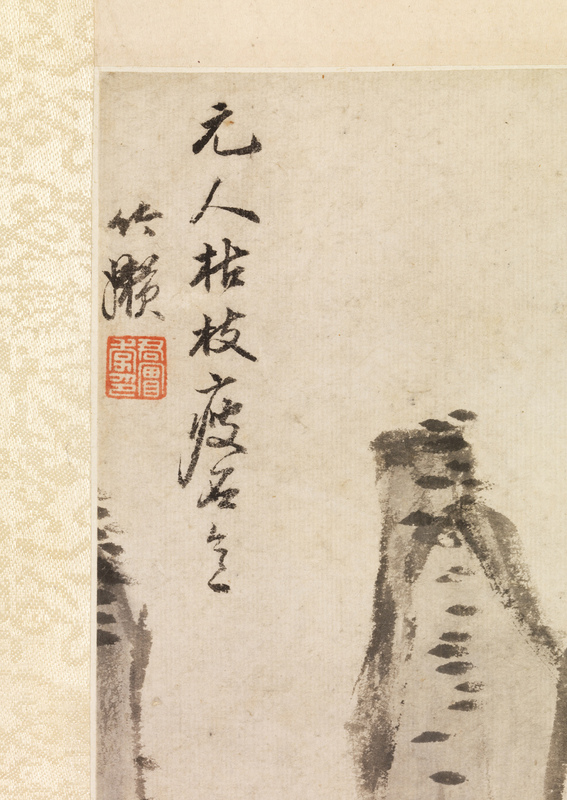 A hanging scroll landscape, circa 1610. Painted area: 31 x 35 cm.